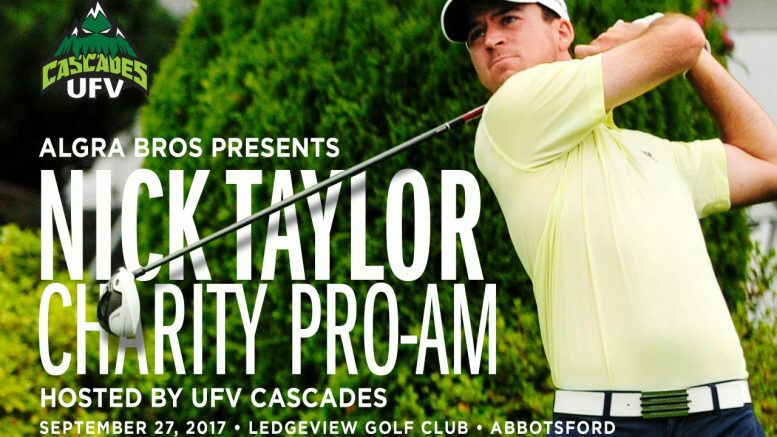 Abbotsford – The University of the Fraser Valley golf program is pleased to announce a partnership with PGA Tour golfer Nick Taylor, Algra Brothers Developments and the Vancouver Golf Tour to launch the inaugural Nick Taylor Charity Pro-Am. 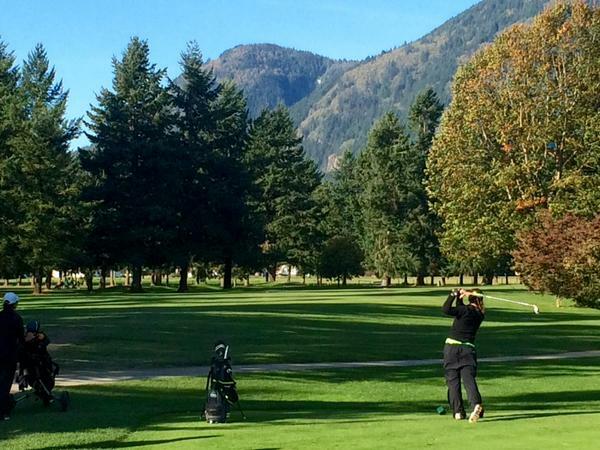 The tournament is set for Sept. 27 at Ledgeview Golf Club, Taylor’s home course. Algra Brothers Developments is the presenting sponsor, and it will be an official Vancouver Golf Tour event. 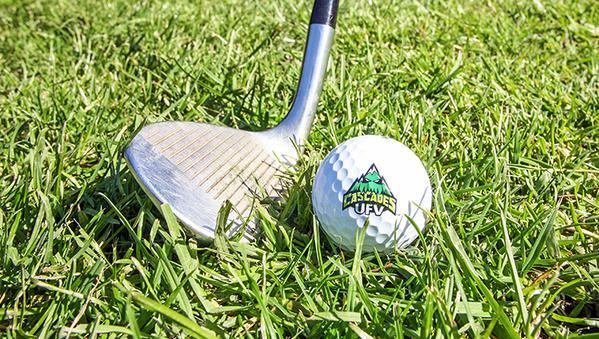 In years past, the Cascades had hosted a pro-am tourney to raise funds to cover operating costs for the UFV men’s and women’s golf teams. Taylor has been an avid supporter of this event – he’s played in it four times, and won it in 2016. This year, with Taylor and wife Andie looking to increase their already-significant involvement in the community, he struck a partnership with the Cascades and head coach Chris Bertram. 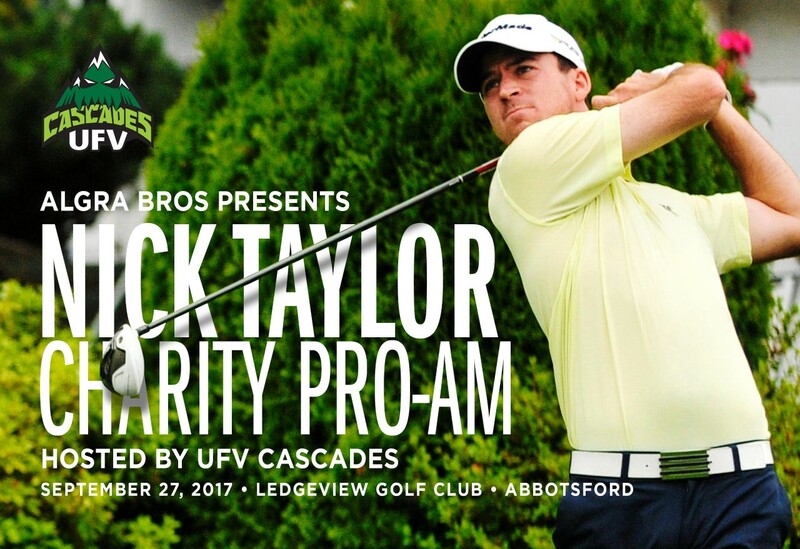 The UFV golf program will continue to host the event, and revenues will be shared between local charities of the Taylor family’s choosing (to be announced) and the Cascades. “Chris approached us about this, and it was kind of a no-brainer,” Taylor explained. “We want to get involved locally as much as we can. The event officially kicks off with a gala dinner and auction on the evening of Tuesday, Sept. 26, and the tournament itself runs the next day with lunch at noon followed by a shotgun start at 1 p.m. Live scoring will be provided by the Vancouver Golf Tour and commissioner Fraser Mulholland. The Cascades will host a tailgate party at the conclusion of the tourney with live music, a beer garden and food trucks. Early-bird pricing for a three-player group is $1,750 (regular price: $2,250), and will be in effect until May 15. 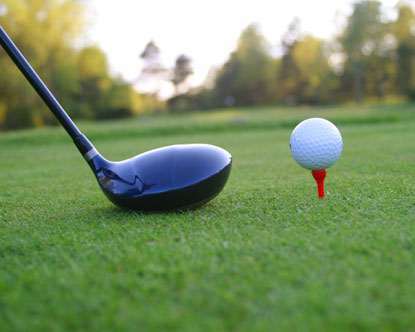 Each three-player team will be joined by a pro golfer, and the entry fee includes all meals, green fees and golf cart use. Inventory is limited and subject to availability, and online registration can be completed here. For more information, contact Chris Bertram (chris.bertram@ufv.ca). To inquire about sponsorship opportunities, contact Phil Agra (phil@algrabros.com). Joining Taylor in the field are fellow Ledgeview legends James Lepp (the 2005 NCAA individual champion and two-time PGA Tour Canada winner) and Ray Stewart (a longtime PGA Tour pro who won the Dunhill Cup with Team Canada in 1994). Stewart launched the pro-am in the early 2000s to benefit Abbotsford Community Services, and after achieving fundraising goals for that organization, he transitioned the tourney’s fundraising focus to the Cascades after his son Brett began playing for the UFV golf team. The star-studded list of past Cascades Pro-Am winners includes Taylor, Lepp (2012) and current PGA Tour standout Adam Hadwin (2011). An alum of Abbotsford’s Yale Secondary and the University of Washington, Nick Taylor had a phenomenal amateur career highlighted by attaining the No. 1 world amateur ranking in 2009 and winning the Ben Hogan award as the NCAA’s top male golfer in 2010. He earned his PGA Tour card in 2014, and picked up his first victory on the world’s top golf circuit in November of that year, winning the Sanderson Farms Championship. Now in his third full season on the PGA Tour, Taylor currently sits 92nd on the money list with earnings of $557,511, and is 86th in FedEx Cup points with 267. Be the first to comment on "Cascades Golf Hosting Nick Taylor Charity Pro-Am September 27"